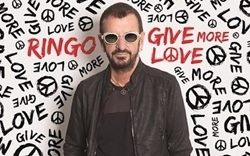 Ringo Starr announces second June date for Tel Aviv concert . Beatles Radio: The Beatles, Solos, Covers, Birthdays, News The Fab 4 and More! The Giro d’Italia bike race is set to enter its final stage in Israel Sunday with a 226-kilometer sprint through the desert from the city of Beersheba down to the port city of Eilat. The Sunday race, which kicks off at 12:30, follows a Friday time trial in Jerusalem and a dash down the coastal plain on Saturday that marked the first time a major European bike contest was held outside of the Continent. Residents of the southern region of the country are expected to come out to cheer the cyclists on Sunday, though the number of spectators may be impacted by the start of the working week. Tens of thousands lined streets in Jerusalem and a string of cities on the coastline for the first two stages of the race.